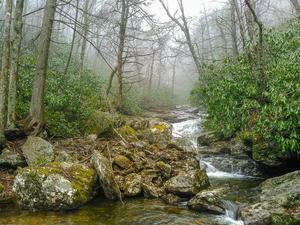 Here is a list of all trails in the Black Balsam Trailhead area. 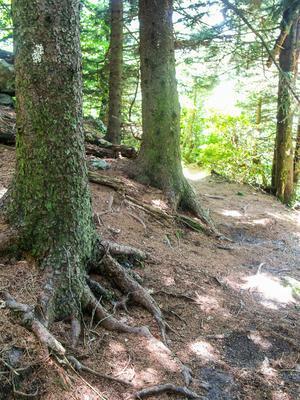 For general information about the Black Balsam trailhead, see the Black Balsam Trailhead page. 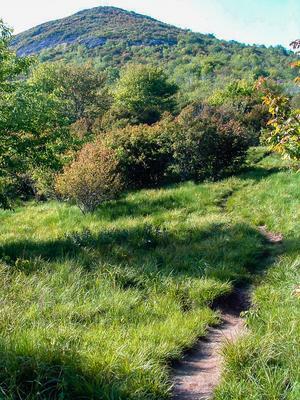 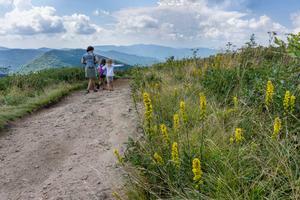 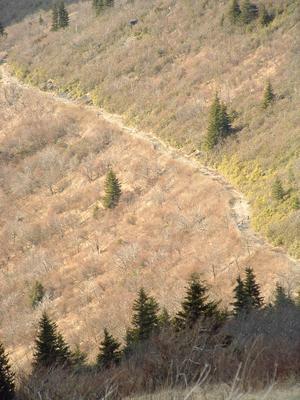 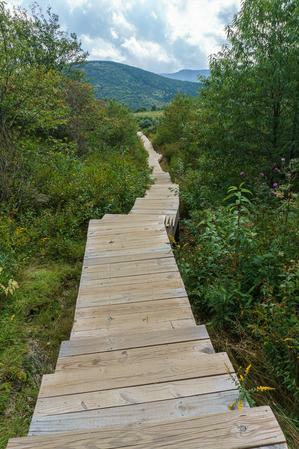 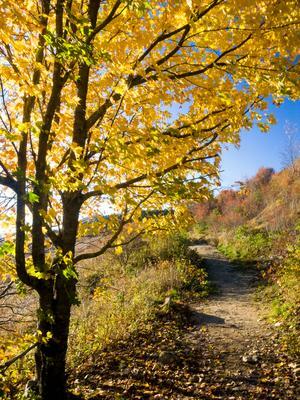 A series of unofficial, but well-defined, paths which run around the open summit of Black Balsam Knob. 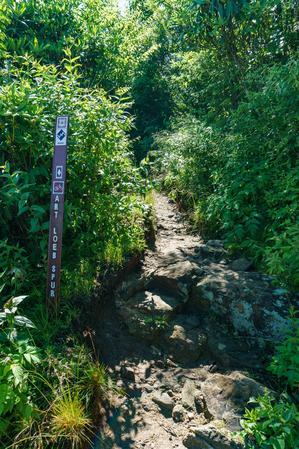 The official trail, Art Loeb, passes to the true summit's northwest, but almost nobody uses it compared to these more scenic unofficial paths. 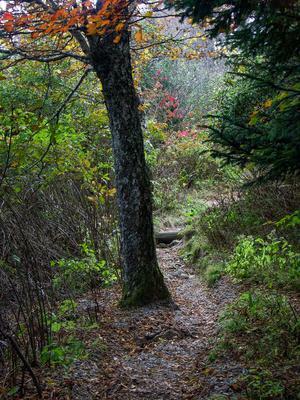 Connnects the Mountains to Sea Trail, between the Little Sam trail and NC Hwy. 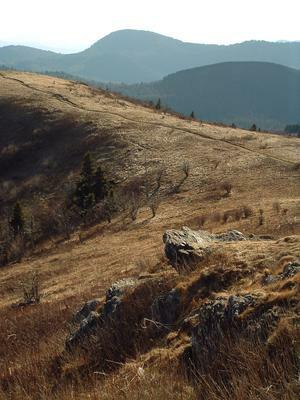 215, with the Devil's Courthouse trail. 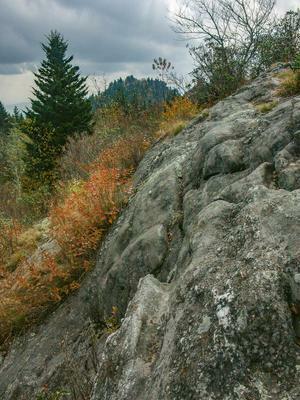 Short and mostly level. 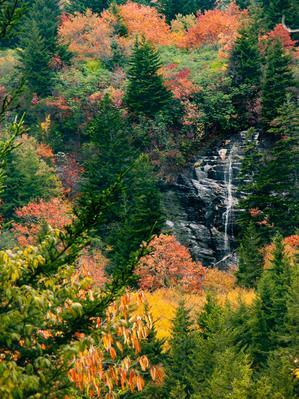 Passes over the top of the Devil's Courthouse tunnel on the Parkway.